Sitting on 1,300 acres on the Catawba River, the National Whitewater Center in Charlotte is home to the largest man-made whitewater river in the world. The USNWC’s efforts to get people playing outside is driven by their passion for the outdoors mixed with recognizing a need in our world to promote healthy and active lifestyles among people of all ages. They are a non-for profit organization locally owned and operated in North Carolina. How lucky are we to have this national organization right here in our backyard? Not only can you go rafting or kayaking on the whitewater OR flat water rivers, you can also do a multitude of other activities like rock climbing, jumping, zip lining, plus rope and obstacle courses, and trails for biking. Start a friendly competition with your crew, or use the courses to test your strength and agility as an athlete! There are nine different courses ranging in difficulty levels, from beginner to expert. The climbing walls are a completely unique experience as well. Being home to one of the largest climbing walls in the south, challengers find it quite an accomplishment when reaching the top. There is also a “deep water” wall which you would climb without a harness, and when you get to the top you simply let go and dive into a 20-foot pool. What a way to combine land and water sports all in one! 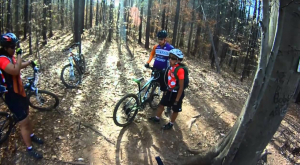 Trails also come in various levels of difficulty, so that everyone from age 5 to 95 can enjoy their ride. The center also offers education programs and summer camps for kids and adults to learn more about the activities offered there. You can get your certification in a number of programs like wilderness medicine, first aid and CPR, water rescue, survival, and more. This would be a great place to start for anyone looking to expand their knowledge on outdoor sports and activities, or for someone who’s trying to get a career started in these fields of study. Be sure to also check their website to see what current events they are hosting, like festivals, dinner activities, yoga classes, and even a film series festival hosted every Friday at sunset through April and October. Check back frequently to see their calendar of events. 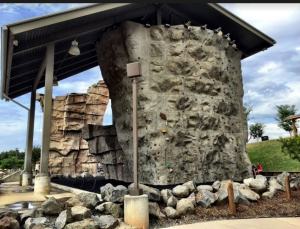 Weather you come for a challenge and adventure, a fun day with the family and friends, or just to experience the views of the river from the less challenging activities, you will have a blast at the U.S National Whitewater Center! See the website here and get directions here. Share this blog with your Facebook friends, and leave us a comment to let us know what some of your favorite activities are at the Whitewater Center! See current available listings in the Charlotte/Lake Norman area here.